I had to move around some lessons for 4th grade because I could not start their mission painting yet. 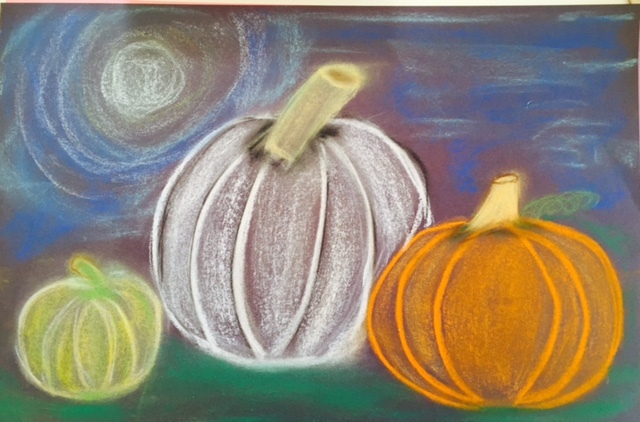 So I thought it would be fun to do something seasonal like a fall pumpkin patch scene with chalk pastels. 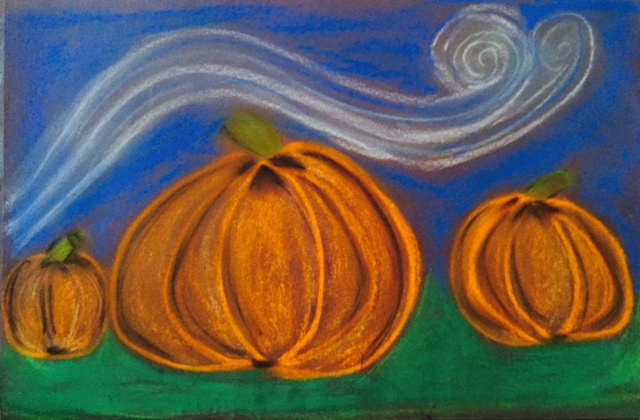 I searched the internet and there are so many how to draw pumpkin lessons. Of course pinterest has many options below are the three I am going to use to show the students there are many easy ways to sketch a pumpkin.